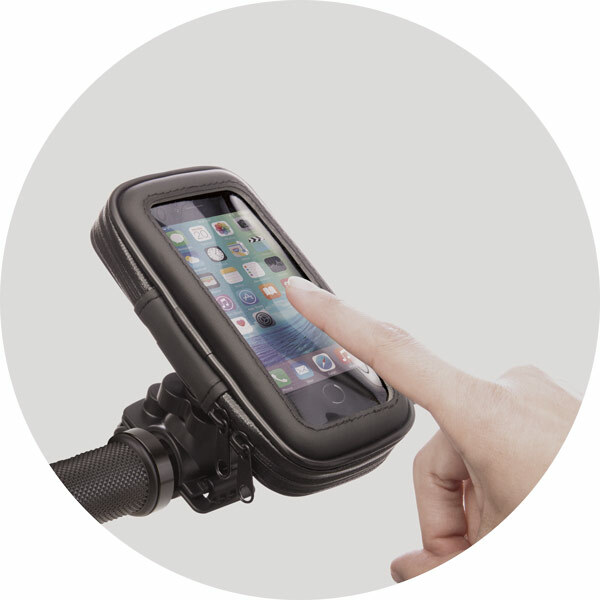 Smartphone holder for bikes. 360º adjustable handlebar hook. Smartphone case of up to 4.5″ with transparent cover, compatible with touch screens and featuring a zip lock.